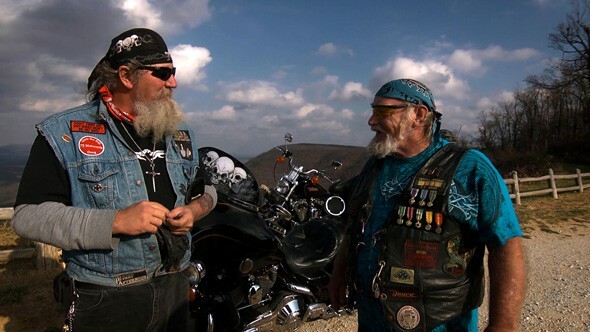 WINTER’S BONE director Debra Granik's stereotype-shattering documentary STRAY DOG focuses on Ron "Stray Dog" Hall. At first glance, this burly, bearded biker looks like the ultimate badass. Then, through Granik's sympathetic lens, we begin to see his big, battle-scarred heart. The movie follows Stray Dog as he caravans on his Harley from his rural Missouri home to Washington, D.C. to pay tribute to his fallen brothers at the Vietnam Memorial. Back home, he takes in his Mexican wife and her two sons, who are, like him, struggling to find a place in a country that has become foreign. Debra Granik is the Academy Award® nominated director and co-writer of WINTER’S BONE, which was nominated for four Oscars, including Best Picture, and won the Grand Jury Prize at the 2010 Sundance Film Festival. Granik and co-writer Anne Rosellini (producer of STRAY DOG) were Oscar nominated for Best Adapted Screenplay. "STRAY DOG is at once a powerful look at the veteran experience, a surprising love story and a fresh exploration of what it takes to survive in the hardscrabble heartland of America." "WINTER’S BONE director Debra Granik provides plenty of surprises in her superb slice of American life on the margins." Explore the meanings and memories behind the tattoos of an older generation.